Firefly ™ & © 2016 Twentieth Century Fox Film Corporation. All Rights Reserved. 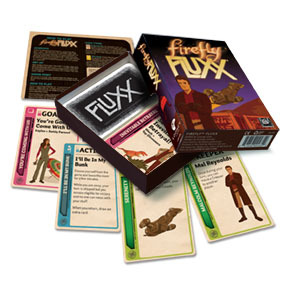 Firefly Fluxx: Best Version Yet! 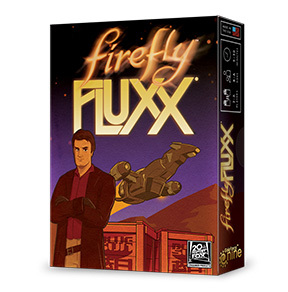 Packaged in a two-part box (3.75”x5”x1”), with a 6-game display (3.8”x7”x8”), 8 displays per case or 48 games per master carton.